August is our slowest month of the fishing season in Missoula. The risk of forest fires and fishing restrictions have caused anglers to shy away from what used to be one of our more popular times. 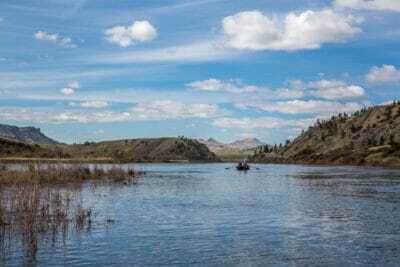 It is certainly understandable, but for the anglers willing to gamble on August there are some secrets of summer fishing that can make for an awesome trip to Montana. August is your best chance to find unpressured trout. There are stretches of the Bitterroot and Clark Fork that may not see a guide boat for days during August. 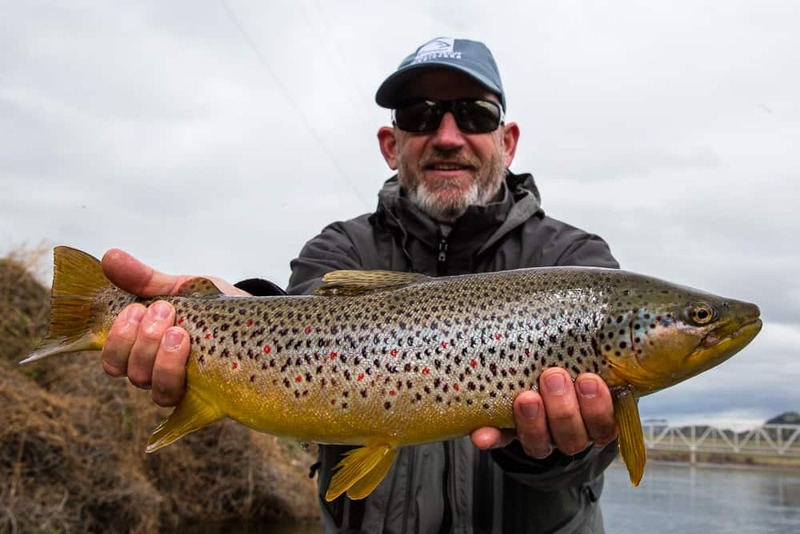 If you find yourself on one of those stretches where the trout have been rested it can provide some of the best hopper fishing of the season. 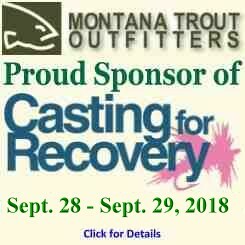 There are a ton of fishing options around Missoula and many days in August you will have an entire stretch of river to yourself. Early on, early off is the key to success. Water temps are most favorable early, before the heat of the day sets in. The trout know this and they feed most aggressively during this time period. Take in a gorgeous Montana sunrise and stick some nice trout when it’s most comfortable for everyone. Get back to town and cleaned up to make the most of all Missoula has to offer in the late afternoon and evening. Skill is rewarded in August. A well placed hopper in just the right spot next to a log jam or a solid reach cast on target to a rising trout is the way to find the biggest trout during summer. Take advantage of your existing skills and be willing to learn some new ones. Time spent learning new fly fishing skills will pay off for seasons to come. Take what the river gives you. We all want to fish single dry flies to large trout. Some days we are able to pull that off. Other days the fish are pounding droppers or they want to chase a streamer. Other times the trout fishing is off all together and we are able to have fun sessions chasing northern pike or smallmouth bass. Stay flexible in the summer to have the best fishing that you can. In the past week our biggest trout came on a streamer and another angler landed a solid pike for the biggest fish of her career. They adapted to the conditions and had a great trip. We are enjoying some solitude and good fishing this August. Not much in the way of forest fires and no fishing restrictions yet. There are definitely some secrets of summer fishing and our anglers have been enjoying themselves on the river. Summer fishing season has finally arrived in Missoula! A big snow year combined with a cool and wet spring resulted in high water all through May and June. There were some great moments, but we did not see consistent dry fly fishing like we always hope for in June. That has changed. All the Missoula area rivers are dropping and clearing, and the dry fly bite has gained momentum in the last few days. Based on the current conditions this looks to be our best July and August in several years. There have been many years where are temps are in the 80’s-90’s by mid-June and by the time we get to July we are meeting at dawn to take advantage of the cool weather and active trout. Yesterday we saw a high of 63 and we have been able to meet at a leisurely 8 am for weeks. All of the Missoula rivers have plenty of water and the water temperatures are ideal for this time of year. The next couple of weeks will produce a myriad of good hatches from golden stoneflies, pale-morning duns, green drakes, yellow sallies, and caddis. During hot, low water years we run through our hatch cycles very quickly, but during high water years the hatches are much more sustained. The last high water year produced a golden stone hatch that went through the third week in July and we could very well see that again this year. August is our sleeper month. Anglers are a little hesitant about fishing in August because of the chance of fishing restrictions and forest fires. As a result August has become the month with the least amount of river traffic during the entire season. If you enjoy solitude then August is the month for you. In a high water year we can have fantastic dry fly fishing in August. Hoppers are the main game, but there are also good hatches of tricos, fall drakes, and spruce moths. We will be in shorts and sandals for the next couple months enjoying the best that summer fishing season has to offer. It promises to be some of our best dry fly fishing this year and the crowds will thin by mid-July. If you have a trip planned your in luck, and if you are thinking of coming out we still have some availability left. May on the Missouri River is always one of our favorite times of the season. MTO is over on the mighty Missouri dodging run off in Missoula and enjoying the finest tailwater fishing in the state. We really like early May on the Missouri because the river is typically low, the tributaries are clear, and there is some exceptional dry fly fishing and fun short leash nymphing. This year is anything but typical when it comes to streamflows though. We came into May with a river that was twice as high as normal, blown out tributaries, and cold water temps. That made for some tough conditions in late April. Fortunately things started to turn in our favor for our first groups in May. The water started warming up just in time, and the guides used their creativity with the floats to avoid the bulk of the river traffic. Since the tributaries were blown out, everyone who was fishing was forced to the upper river. That can make for a crowded river, but we managed to stay out of the herd by using different meet times. The fishing has been consistent all month. The deep nymph rig has been best for steady action, but in the last week the water has warmed up enough to fish some shorter nymph rigs with good success in the right spots. The tributaries are starting to clear up too and that has allowed the traffic to spread out throughout the entire river. May on the Missouri River can spoil an angler and guide. Most would consider the high water less than ideal and still we are having good fishing everyday with lots of big rainbows from 16-20+” and some hefty 20+” browns mixed in. We probably won’t see the great dry fly fishing in these high flows which is disappointing. Despite that, every group of anglers we have had so far in May are already planning a return trip to the Missouri next year. We love May on the Missouri River and look forward to what the second half of the month will have in store. 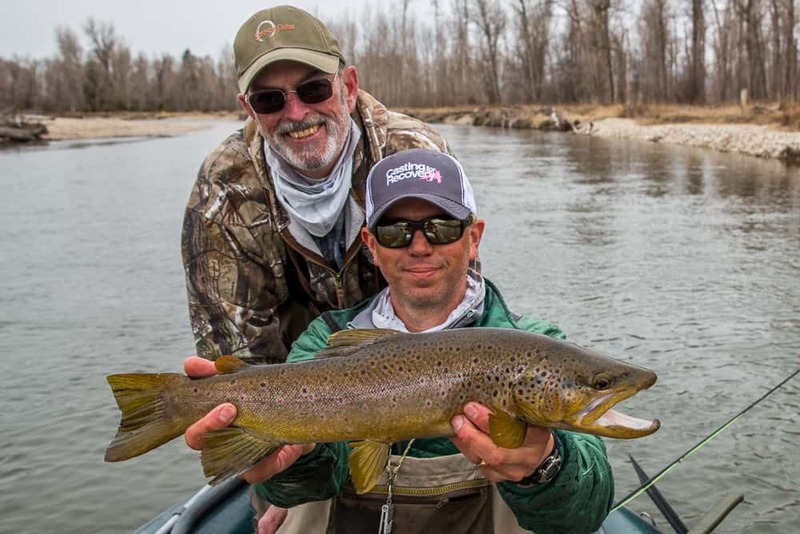 Missoula spring fishing is some of the very best of the season. 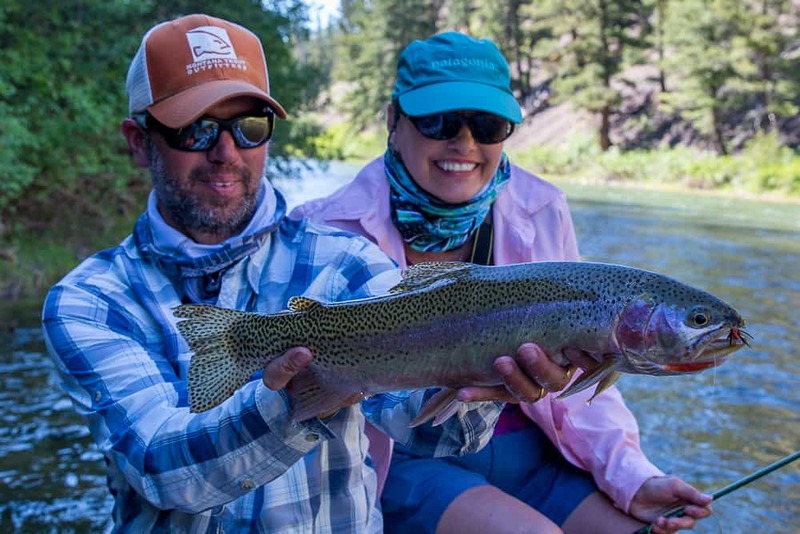 Single dry fly fishing with big foam bugs is hard to beat, but it can also be tough fishing when the conditions do not cooperate. There are highs and lows to every spring fishing season around Missoula and it’s a mere matter of timing. Rarely in the fishing world can you expect great rewards without some degree of risk. In other words, there is no “guaranteed” best time to go fishing in Missoula, or anywhere for that matter. 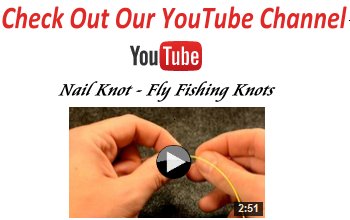 It’s really up to each individual to decide what type of angler they are. Do you like to play it safe? If so, then come out in July when you have the best chance to find clear water in all the streams and warm weather. The fishing is likely to be respectable too, and lots of anglers come each year in July and love it. But you want to catch big fish on dry flies don’t you? If that’s the case then you better buckle up, it could be a bumpy ride. 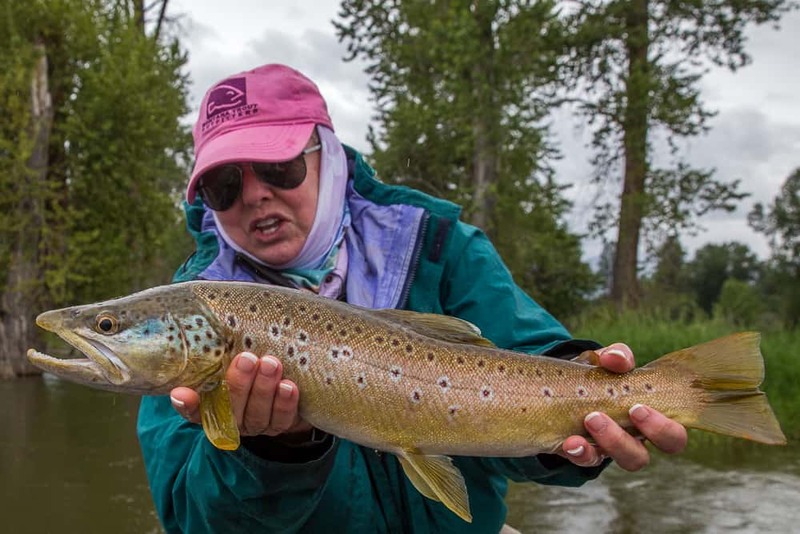 I am 100% confident that more big brown trout were caught on dries in this past week around Missoula than were netted in the entire month of July last year. The catch is, I couldn’t make that claim about this same week in April of 2017. And that’s the rub, when the fishing is good in the spring it is incredible, but there is no reliable way to predict when it will happen. What we do know is that every year between March and April we will see a high number of our biggest trout of the year on dry flies. Some years it’s the 3rd week of March, others the 2nd week of April, and when we are lucky like this year we will get a 4 week run of solid fishing that could produce the biggest trout of the year on any given day. You could get snowed on, it might be windy, and the rivers could bump out of shape on you. 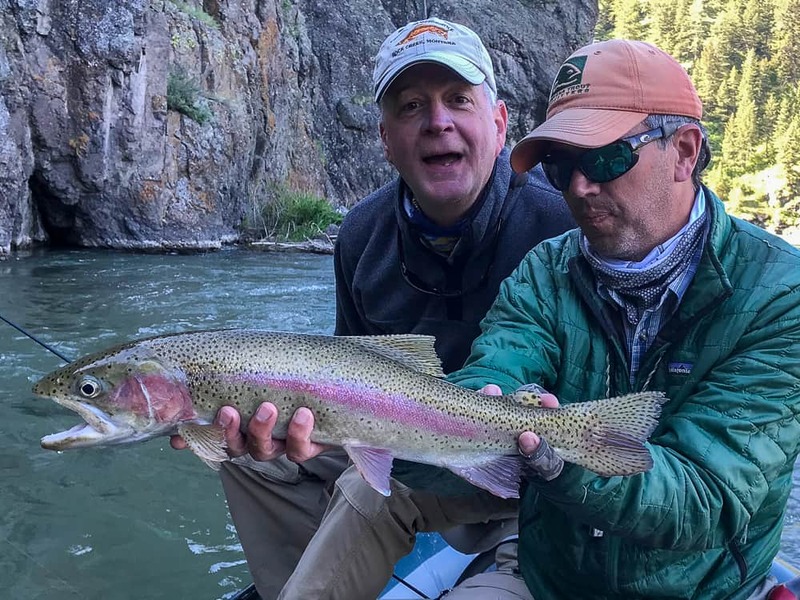 That’s simply the price of admission for what could be the best dry fly fishing you have ever seen. If you don’t swing for the fences then you’ll never hit a home run. It has been a great week of spring fishing around Missoula and now we are looking down the barrel of some challenging conditions. If things break in our favor we will be netting a bunch of 20+” trout in the days ahead. If not then we will scratch and claw to make it happen. Either way we will be happy to not be playing it safe.